If you go to AMC theaters often, I strongly recommend you join their AMC Stubs.. Skip the lines, get discounts on food with points, free upgrades and refills, ticket savings on Tuesday's and more. 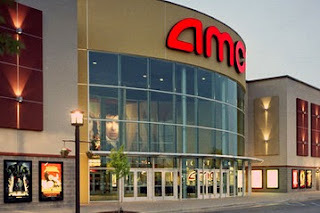 AMC Theatres (American Multi-Cinema), officially known as AMC Entertainment, Inc., is the second largest movie theater chain in North America.